JPIC Distance Learning Program Now Available! 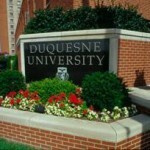 The Spiritan-owned Duquesne University in Pittsburgh, Pennsylvania launched a JPIC Distance Learning Program in mid August 2011. The program, available in English, was designed by the Spiritan’s former JPIC Promoter in Rome, John Kilcrann CSSp, and has been in a testing phase for the past year. In subsequent years, additional JPIC-linked courses will be added, covering eventually more than 20 central areas of JPIC concern. This will ideally provide pastoral workers, clergy and religious with a ‘tool-box’ of skills to minister more effectively in this important pastoral area. The course is self-learning in design; the level is pitched at post high (secondary) school level and is in English. Participants set their own pace during each course, studying at a speed suitable to their already busy schedules. 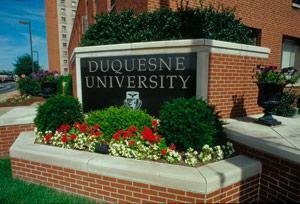 When participants complete a required number of courses they will be awarded a certificate by Duquesne University. Registration in the course will also enable participants to use Duquesne’s vast electronic library services free of charge and so permit them to access and download hundreds of thousands of articles in many disciplines from a wide selection of journals, as well as book chapters. The course is offered free of charge and is the first of its kind available via the internet. Prerequisites include a reasonably good internet access and an adequate fluency in English. You can find detailed information on the program and contact details at http://www.duq.edu/jpic.